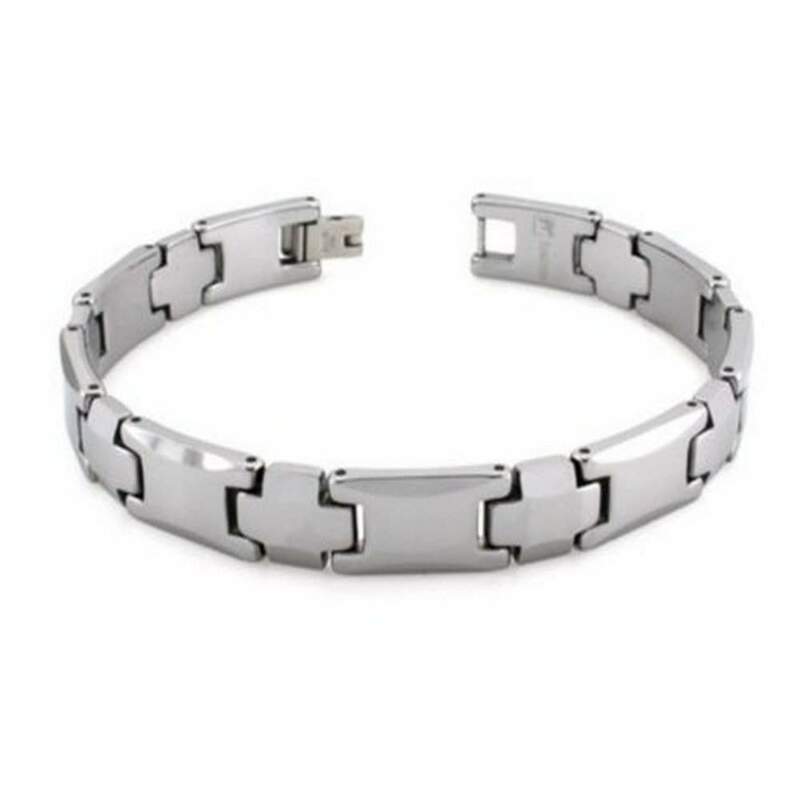 The perfect men's tungsten bracelet for the classically minded individual. This high polished armband features alternating cross links in tungsten carbide's traditional gunmetal grey color. Completed with a fold-over clasp, this tungsten bracelet for men measures 10.5mm wide by 8 inches long.